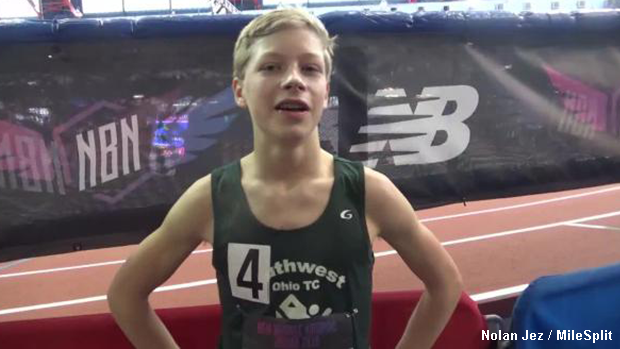 Ohio's Sean Glaze recorded a time of 7:07.05 to take first place in the 1 Mile Race Walk event at New Balance Nationals Indoor on Saturday morning. 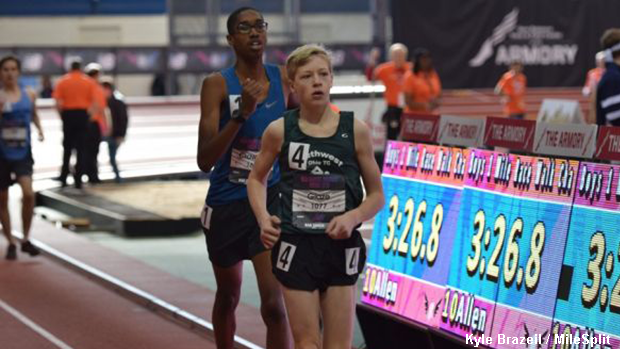 The Greenon sophomore finished nine seconds ahead of the race's runner-up, Jadon Davis of Baltimore, MD. Glaze, who only started race walk training about a year ago, was initially uncertain if he had won the race or not. Following the conclusion of the event, it was determined by race officials that the first participant to cross the line would be disqualified and therefore making Glaze the winner. Sean Glaze also competes in cross country and runnning events on the track.